One of the most frequently asked questions among friends after they start working in US and typically whenever they are expecting a baby is “What is the process for applying visa to parents to come to USA ? What documents do I need ? How do I start ?” . Also, if you are on F1 visa, you may want to invite your parents for your graduation…In any case, I was in the same boat and found information I needed from friends and other sources. This article will focus on the whole process with documents needed and what to do step by step. Parents Passports: Apply for Passport to your parents if you have not done so. Depending on the country plan for the passport based on how much time it takes. If you are from India, in the past it used to take 3 to 6 months, now with outsourcing to TCS, you can get passport in little under 15 days. Also, there are new schemes of Tatkaal, if it is emergency and you can get you passport as soon as 7 days, but you have to pay extra fee. Check out the passport application website for details. We have an article on applying for Passport Renewal in India, it should give some idea. Bank Savings for Sponsorship: Make sure you save some good amount totalling up to $10,000 dollars or more to cover their expenses. It is advised to start saving 3 months before and accumulate steadily rather than just borrowing money and putting in bank. There is no hard fast rule. Just an advice. 1. Employment letter from your H1B sponsor/ Current employer : You need to get an employment letter verifying your current H1B visa employment, indicating your salary and other stuff. Typically employer knows this stuff and they will give you the letter. They may ask for your parents passports and sometimes the appointment letter of interview. Depending upon the employer rules and regulations. Some employers are quick and some are slow in doing this. Plan well and make sure you have it with you. F1 Student – Graduation Invitation : If you are F1 Student inviting for Graduation, you need to send your current status details like F1 Visa copy, I-94, I20 and Graduation invitation letter to your parents. 2. Get Scan copy of Parents passports: You will need copy of your parents’ passports with all the information that is on the passport when you book the appointment online. You may ask them and get it item by item, but you may end up with mistakes. Best way to it is ask for scan copy for Parents passports. Ask your parents or anyone to send this to you. Your employer may ask for copy of Passports for giving the employment verification letter. So, it is easy if you get scan copies of parents’ passports. 3. Booking Visa stamping appointment for your parents: You need to book visa appointment at US embassy/ consulate for getting B2 Visa stamping to travel to US. In India, depending on the state you belong to, you will have to choose the consular office. Unless, your parents have access to internet and are familiar with the process, you might want to book the appointment and fill up the application and other forms, etc. If you are booking, make sure you have 15 days before from the day you are booking appointment. Because, you will need to get your documents straightened and send them on time. To book visa appointment, the first step is to fill out DS-160 form. Fill out DS-160 Form: You will need to create separate DS-160 applications / profiles for both of your parents or group, if you are applying as group. When you are filling out the first DS-160 form at the end, when you select ‘Email Confirmation’ on the confirmation page, you will go to Thank you page and on that page you will have an option to create a family or group application, you can choose this option so that some of the information from your first application will be copied over and imported. Of course, you can change those details as needed. You need to fill out the DS-160 form carefully. Check out the article on How to fill out DS-160 form to get some idea. Below are the links for relevant links for DS-160 form. Depending on the consular office you should check the respective consulate website for any specifics around, if needed. Parents Visa booking Native Language vs English: If your parents are not comfortable with English, I suggest you choose preferred local language that your parents are familiar with. Most US embassies give you that option to choose the local language. For instance, in India, you can choose interview language such as your mother tongue like Telugu, Tamil, Gujarati, etc. If you feel your parents are not fluent in English, it is better to choose native language rather than English, so that they are comfortable and communicate clearly when asked by Visa Officer. Filling up the forms and What you should fill : Unless your parents are familiar with internet and online process of filling up forms, you may want to fill up all the forms. It is good if we do it because, we know what we are doing and we are sponsoring them. When you are filling forms, there is a section on ‘Sign and Submit page’, you should put your name and sign it. There is nothing wrong in it. You are fine, just put in your name. You can check the DS-160 FAQs ( link above under fill out DS-160), it talks about it. 5. Copies of W2 Form, Pay stubs, etc : You will need copies of W2 Forms for all the years, last three pay stubs or salary statements, Last three bank statements, Copy of your passport, I-94, H1B visa approval ( I797 ). This is extra piece of documentation to be given to your parents to avoid any issues. This is like an optional, I strongly suggest that you carry these documents. If you are a student on F1 visa and not working, you may not have pay stubs, so do not worry about it. Send whatever you have regarding your current status like I20, etc. 6. Invitation Letter : You need to send an invitation letter to your parents saying that you are inviting them to visit you and sign it. It legally supports your parents intent to come to US and you are inviting them to visit. Download sample copies below. 7. Visa officer Cover letter: It is recommended to send a cover letter with all the documentation addressing the visa officer. It just lets you keep in track of what you are sending and if visa officer needs to check, it is easier for him and more clear for our parents. 9. How to send and What all to send: Ideally, you want to print out everything and sign all the documents where you filled forms I-134 (optional), invitation letter and cover letter. Make copies of all the documents as listed above. Send originals of Employment letter and Bank letter. You can use DHL or FedEx. I used DHL as it was cheaper and it reached in 3 working days. It cost me around $60. Copy of work visa approval notice ( H1B, L1 – Form I-797). Copy of Passport, Visa stamped on passport. Copy of Bank statements from last 6 months. Bank Account verification/ balance letter. Copies of last three salary statements/ pay slips. Copies of last year Tax Returns –W2 forms ( if applicable). Any other supporting documents like marriage certificate to prove the relationship. Thanks to Rajesh for suggesting the above after his bad experience missing the documents of in-laws. Below are some of the templates that were used by me. These are just standard templates that you can use, no hard fast rule that it has to be in this format. We highly encourage you to use them as guideline only and create your own letters with your own flavour, so that it looks unique. Additional Supporting documents Checklist by Parents for Visa Interview. Notarized documents of land/ sites, buildings ( any kind of property). Pension / employment benefits letters, if applicable. Fixed deposits, any financial related documents. Any other documents that shows your financially strong and you will come back. If you do not have all documents or big property back home, it is OK. No big deal. Because, you are the one in US, who is sponsoring the visitor visa for your parents. So, do not worry. Also, if your parents are older, then they are fine. Health Insurance for Parents : Having visitors health insurance is important for parents to avoid any unforeseen health conditions, when in USA, so that it does not dent your financial situation with fat medical bill. 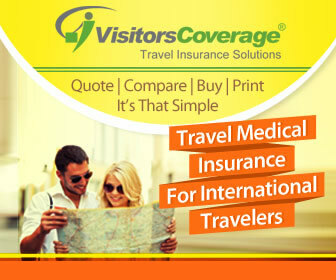 It is always a good idea to get Health Insurance from a US vendor, who can support you. We recommend Buying Parents Insurance at Visitors Coverage – Parents Insurance as they have US support and you can compare all insurance plans. That’s it folks…not so much complex, all you need to do is get all the list of documents and have things rolling as per plan and schedule. You can check out some experiences like Parents US Visa Stamping Experience -Telugu and English Stamping Experience US Parents Visa . Do you have any other ideas or documents that are important ? Do share your experience and thoughts. My own brother has completed his Masters in US, he wanted to invite me and my wife to attend his Graduation ceremony. Unfortunately my parents wont be able to attend because, my father cant travel long distance as per his medical conditions. What are my and my wife’s changes of getting Visa ? I am a software engineer in Reputed IT company and my wife is a HR Recruiter (It company). Can I show my fathers medical condition to Visa officer to convince that I will be back to India? and what are the minimum financial limits that I need to show for the visit? Hoping to hear from you soon, thanks! Thank you for putting out the details. I am US citizen, do i need to send a copy of my US passport? Well, it is not required in general. But, if you want to, you can send a copy to be safe..does not hurt. i am greencard holder and staying at my relatives house which we rent. as we are relatives, we have not signed up or made any rental agreement. so is it ok if i send my house owner’s permission letter instead of rental agreement? What is the need to rental agreement ? My immigration lawyer asked me to put that, to make sure to US officers that they have permission to stay in my rented house. .. is it required ? If you have that suggestion from an Immigration Lawyer, I think you should do it. My in-laws visited us last year (Sep-Nov 2018). Now they will be visiting us this year between June and Sep. Are there any specific documents that they should be carrying as this their second visit? Or just the invitation letter (if needed) is sufficient? Nothing in specific, documents related to your address, your visa approvals that tells you are in status and maybe an invite letter ( actually this does not matter). Depending on where they land, they would probably use Automated Passport Control (APC) Kiosks at Entry, where the process is simple. Suresh, Well, it is hard to guess. It is definitely worth trying the visitor visa and then go for the second step as needed. Do we need to send invitation letter , cover letter ,employment verification letter,bank statement,534 document in original or can we just send scan copy ? For B1/B2 fee payment, I got one CGI reference number for 3 visa applicants and $480 ($160 X 3) visa fees. But on the USA Travel docs portal, it asks for 3 receipt numbers, 1 for each traveller. Would the bank provide me 3 receipt numbers after fee payment , or will I have to use same Receipt number for all 3 applicants? In general, you can use same receipt number for all the three. Usually bank provides one receipt for one CGI reference number, so should be fine. You can call the US Travel Docs help, if you need to double check. what is the minimum income we needed for parents under ds-160 for b2 visa? Can we count the money we send as income? I am on H4 and spouse’s H1 is valid till August 2019. His H1 transfer is in process. Currently i am in India and want to apply B2 tourist visa for my parents. Hope currently being in India and applying for my parents won’t cause any issues or is it mandatory for me to be in US to apply visa for my parents? Need suggestions on the same. It should not matter, you being in India does not really impact. They need to carry the documents related to you and your spouse. If the transfer is in progress, they should carry the receipt notice as well, just to be safe. We are applying visa for both my in-laws and my mom. The thing is my hubby sponsored his parents and he filled that I’m sponsoring my mom. I’m in H4 visa. Do the officer will ask how and why your daughter can sponsor your visa to my mom.? Saying that my son in law will take care of me is that fine.? It should be fine as long as there are bank statements indicating the availability of funds to support their trip and documents to show you both are married. 1) My passport expires next year so applying new one in this June here in USA so my question is : is it better to wait until i get new passport then fill ds160 and book appointment or is it fine with the old passport itself? 2) i filled ds-160 6 months ago not yet booked visa appointment and i mentioned intended travel in ds160 as feb 2019 which is already over will this be a problem , should i fill ds-160 again? It is confusing. Are the questions related to applying visitor visa for your parents ? If so, it does not matter. Your passport validity does not matter. Please provide your inputs on below queries I have in applying my parents B2 visa. Although they are self sponsoring their visa, I will be sending them invitation letter, copy of my visa related documents, marriage certificate, and passport copy. 1. Is it required to send them original / signed documents? Can I send them scanned copies of my documents with my signature on it so they can take printout to carry with them? Will I need to send them my original birth certificate and marriage certificate or printouts will do? 2. If they are self sponsored , can I mention in the invitation letter that I will be taking care of their travel and stay expenses while they are in USA? In that case, do I have to send my bank statements, pay stubs, w2 documents etc. to them? 3. If asked who is sponsoring their trip, can they answer they are self sponsoring their trip and add that they will stay with their daughter in USA? We are confused as I have already filled in their form ds160 that they would self sponsor their trip. But as they will be staying with me and I will be taking them around to visit places in USA, Im not sure how to specify this or not specify at all. They are retired and their bank balance (savings, fds ) is 20 L. Is that enough for self sponsorship of 3 months? I would really appreciate your help in answering above questions. Thank you very much for your efforts. 1. Scanned copies or email print out should be fine as well. Well, copy of it with your parents info would be good to prove the relationship. Good to carry. 2. Yes, if you are taking care of their expenses in US, then you need to send that documents to show you have funds. 3. If they are paying for the whole trip, then they are sponsoring themselves. If you are going to take of any expenses during their trip in US, then it is partly funded by you…so it can be confusing, if you say half they and half you…to avoid confusion, stick to one…either you pay for the entire trip or they pay for the entire trip. You can always create another DS-160, it does not hurt to create one, if you are sponsoring. 20 Lakhs is much more than what they need for their 3 month trip, so it is fine with current DS-160. Thank you very much for your quick response. Thanks! Reg Tax documents do we need to send tax returns or will W2 be sufficient? Well, these are just supporting documents and no specific requirements outlined by DHS. Usually, W2 would be good enough to prove you have been employed and living in US. If you are concerned, you can send the tax returns as well, does not hurt. Me and my husband is on H1 and in US. My H1 stamping is expired, I will be traveling to India for a vacation during May 2019 and planning to go for stamping. I am planning for my parents visa – B2 on the same time. If myself & my parents go together for stamping on the same date will that be an issue ? My confusion is, as my stamping expired and I am inviting my parents will it cause an issue? Is it safe that my husband invite rather than me ? Please advice as I am looking to book an appointment ASAP. I am dependent on my husband. We jointly file taxes. We share bank accounts. Can I be a sponsor for my mother who would be applying for a visitor visa? If yes, then do I put Annual Income as 0? 1. Shall I send the invitation or my wife (On Dependent Visa )should do that? 2. My Mother in law is a widow, in the form she has to fill spouse details,she need to mention the details or leave it blank ?As in form it is mentioned current spouse details. 3. Her bank statement also required? If yes how much? I am planning to bring my in laws to US. My L1B Visa is expired on Jan 2019 and my I94 is still valid till 2020 but my Wife Visa is L2 is still valid till 2020. My organization is planning to file for extension of my Visa. In the mean while i would like to start processing B2 visitor visa for my mother and father in laws. My Question is will my visa expiration be a problem in processing my in laws visa’s or can i process with my wife valid visa. What are the options i have to process my in laws visa now. Can someone please explain.. I have a quick query. I am sponsoring B2 Visitor Visa for my mother. In my passport my mother name is Barsha Devi but on her passport there is no Surname and it’s only Barsha. All her documents are without surname, so in DS160 I have used FNU,BARSHA. But there is a differences in name in my passport and her passport. What should I do? Will there be any problem? I had a similar situation in mine with last names being different. I used the details as they appeared on my mother’s passport for everything. It should be fine. You can attach a name reference sheet and get it certified by a notary and send it along with your mother, if you are worried about it. Yesterday there was an interview for my mother and mother in law in half an hour of time difference. VO approved VISA for my mother in law but rejected for my mother. My mother in law is a house wife so I have mentioned same as in DS160 and my mother runs our family business with my father and same mentioned in DS160. Another thing is my mom age is 49 years 3 months and mother in law age is 51. 2) Who stays in US? I am not sure what made VISA rejection for my mother? Any inputs will be appreciated. How soon I can apply for my mother again? I am working on B2 documentation and DS160 fill up for my Parents. 1) Yes, you can mention that. 2) It is good to go for that as they both are really different and and not a minor error. Thanks for taking out time in answering everyone’s question. My parent’s are applying for B2 visitor visa to attend my sister’s graduation ceremony in US. My question is in how many months bank statements should we provide ? Is last 3 months bank statements sufficient ? There is nothing really written anywhere as part of requirement. It is good to carry anywhere from 3 to 6 months to show that you have enough funds. My question is related to B1/B2 tourist visa. My mom and my FIL (Retired) are both widows. They both visited for Tourist visa interview in India and is rejected as my FIL did not carry daughters documents. My question is if I resend them for interview, should I send them together or separately? Are there chances of getting rejected again? I am the youngest son and my mom stays with my two elder brothers India. It is very hard to say. Visa stamping is not necessarily just based on documents you carry or your situation, it is the Visa officer’s assessment on what they see and believe. You can try sending them again separately and give it a try, does not hurt. A B-2 visa is a non-immigrant visa for travel to the United States for tourism purposes. If you are visiting the United States on holiday, for example, you would request a B-2 visa. Generally, a B-2 visa entitles you to visit the United States for trips up to six months in length. Some B-2 visas allow multiple entry, while others will expire soon after your trip. Just like the B-1 via (for business travel), the B-2 visa has no cap. There’s no limit to the number of B-2 visas the United States awards every year. I am on F1 visa and want to invite my Parents and Brother in United States to attend my graduation ceremony. So, Is it important to show original copy of Fixed Deposit? I mean, does photo copy of Fixed Deposit work or not? I am applying for b2 visa for my parents. My husband is sponsoring them and my question is do I have to send all copies of my husband’s new and old passports? I filled my parents d160 in this case I entered my name as I helped them filling the form below it ask for passport number is this my parents passport? In point 9, I see you mentioned to sign DS-160(if filled by you). But on the DS160 confirmation page, I do not see any option to sign. I mentioned that I have filled on behalf of my parents and e-signed in the application. Can you please clarify if the physical signature is required ? Rakesh, if you indicated it online, that should be good enough. No need of physical signature. I have update it. Hi – I am on H1B and few of my friends are planning to apply for tourist visa and asking for invitation letter. I will not be bearing any financial responsibilities for their trip. In that case, will the invitation letter be of any help? if yes, what all documents to share? Thanks! Yes, invite letter will help. It tells the embassy that they are planning to visit you and your home address will be their location of stay. You can mention in that letter that your friends are taking care of their travel expenses. Okay, thank you for the quick response! that helps! Do I need to share any other documents from your checklist other than invitation letter/cover letter? as I understand, since I am not bearing any financial responsibility, I will not be needed to furnish any paystubs/W2 and Do I need to share employment letter? Thanks! You can send them your documents to prove that you are in valid status such as address proof, your visa status documents like I-94, visa approval notice. I’m planning to apply for B2 visa for my parents. In DS160, its asking for my address and address where my parents will stay. I moved recently and temporarily I’m staying with my friend. Currently my name is not in lease agreement. I want to initiate my parents visa before taking any lease. If my parents get visa then I’ll take 2 bhk and if they won’t then I’ll book 1bhk. Thats the reason I’m not able to take any lease and don’t have address proof. So what should I fill in address section of DS160? Hello rajesh mentioned if applying for inlaws spoues passport(is it all pages ? If spouse holds old passport do we have to take copy of all pages in new n old passport?) Whatis i797? Is it required if im a PR? Hi, This is a great link. But I suggest you add a tip that if applying for in-laws, it is mandatory to attach the spouse’s passport, visa and I797. I got my in-laws visa rejected as I did not attach this document. My bad, i should have read through in-laws visa processing steps instead of parents. Thanks Rajesh, I have added it now! check it and suggest, if anything more to add. Some other sites suggest to take Spouse Birth certificate too..
Good idea. added that too. In my current checking account I have average balance of $3K(current balance > 10K) is good enough for sponsorship ? Well, they usually look at your cash in Bank, in your case 10K, which should be fine. In general, these are all supporting documents and not always checked, but they can choose to check. Hi, We(family of 3) are planning to see our relatives in USA and applying for B2 visa. Do we need invitation from our relatives. And do we need to fill DS 160 for each family member. If you are visiting them, it is best to have it as you will enter their address details when you are filling out the application form. Yes, you will need to fill it out for each family member. Hey i am planning to invite my brother to usa.he is 30yrs and doesnt hold high salary job. What should i do ? You can invite him stating that you will sponsor everything and show proof of funds…It is the same process as above. In US Parents Visa – Cover letter for Consulate for B2 Visa.docx, what should I mention in place for ‘Company name’, is it my employer name or my client name(where I work now)?. In general, you should mention, who your H1B sponsor is and who pays you to keep you in status, because that’s the name that would be on your approval notice. Thank you Kumar for response, but my employer address is in New Jersey and my current address is in Denver, CO(Client Place). DO you think that might cause issue ? In above case should I ignore Cover letter for Consulate for B2 Visa to avoid this confusion or its okay ? In general, it should be fine. You may avoid the cover letter as well, if you are unsure. These are all supporting documents and not really mandatory. Myself and my husband wish to invite my parents and brother ,sis in law and my niece to USA.Could you advise me if it’s better to apply as a group for all 5 or parents and brother family separately. Also like to know,whether we need to send the bank documents, pay slip and tax returns documents of my husband even if my family is going to take care of their expenses. I would like to apply visitor visa for my brother.He is Central Govt employee in india. What are the chances of approving ? any difficulties ? I’m on H1. Iam applying for B2 visa for my parents. I filled the DS 160 for them separately, but while scheduling the appointment should I create 2 profiles in US Travel docs or single profile? Also which option to select if I want both of them to go at once for the interview? Please help me on this. You create one profile for your father as primary profile and then add your mother as dependent in the same. you can add up to four dependents. a. Yes, You should. I did the same. b. If it is for the entire application, it would be your parents info. You cannot sign for your parents as they are adults. You can walk your parents through the details, explain and let them sign with their info. Where do I submit all documents? Do I have to send all docs to my parents back home ? So they can book an appointment for the visa? Yes, you send your documents to your parents back home and they take the appointment for visa. I want to bring my stepmom and half brother(11 year old) to visit US for 4-6 months sponsored by myself I am on L1 visa, when I am 20 year old my mother expired and father got remarried, recently father also expired, both my stepmom and half brother both have passports and all the documents like marriage certificate, my both parents death certificate but in my passport mother name is different its my biological mother name I came to know that it’s very difficult to get the dependent visa for step-parent, can I apply for B-1/2 visa then what documents required or is there any other way to bring them to visit US. Can you explain me step by step. The process for B2 visitor visa is same as described above, it is no different. You need to send them invite letter and let them apply for B2 visa. Thanks for your time and expertise on our visa queries. I am on h1b visa and I am planning to bring my wife on Tourist(b1/b2) visa. She can’t get the h4 visa as my h1b visa is already expired and extension is in progress. She is in Chille country as of now. So..
1.Can she get the b1/b2 visa even I am on h1b? 2. Is it possible to invite her on behalf of my relatives here in us? 3. Will it make any impact on h4 visa if b2 visa get rejected? I am planning to apply B2 visa for in-laws. When I requested my HR for current Employment verification letter, I was informed that they don’t issue EVL for such cases; looks they are not supposed to issue any EVL. and suggested to send my parents latest three paystubs for myself and that is enough to prove that I work for ABC company. Can you please let me know if the EVL is mandatory?